8/16-8/18 Wanna Ice Skate in a Life-Size Snow Globe? "Jaguar invites New Yorkers to beat the heat this August with a never-before seen, unique winter experience in Manhattan. 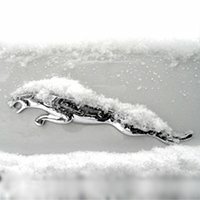 The iconic British brand is creating the Jaguar "Chill" at The Highline, a wonderland of ice skating and snow, to showcase its latest models. Open August 16-18 and complimentary to the public, the winter oasis will feature an amazing life-size snow globe that will house an ice rink (skates included) and also offer demos from professional skaters, entertainment and cool treats. Beat the heat August 16-18, at 10th Avenue and W. 17th St. Follow us on Twitter @jaguarusa for the latest information."